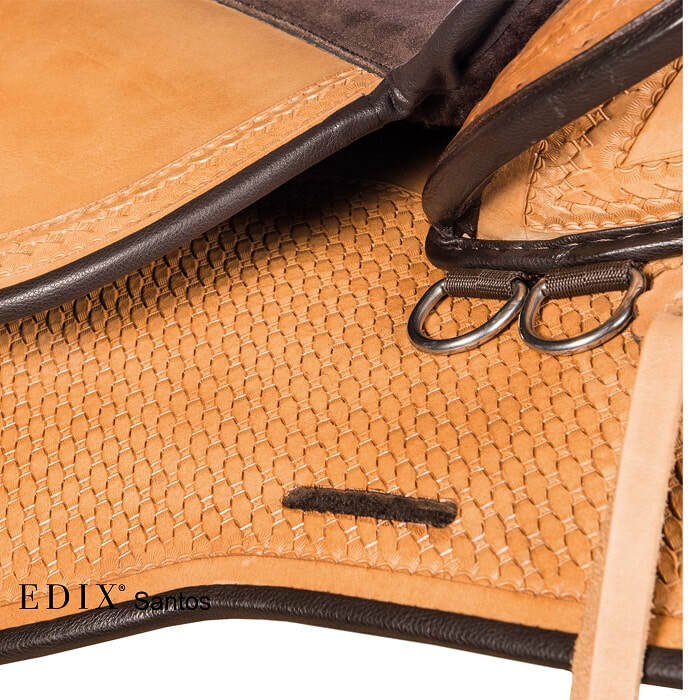 EDIX® leather products are handmade from natural materials. Characteristic of natural materials are small irregularities in the material or structure. Proper use and proper care of this natural material guarantees that you will enjoy it for a long time. This explanation, aimed at cleaning and feeding leather contributes to this, so read it carefully. Every EDIX® leather product is given a quality check and leather feed before it leaves the warehouse. Nonetheless, we always recommend applying a sparse leather feed before using your new product. On a new saddle, slight deformations (wrinkles) of the leather can’t be avoided due to packaging and transport. 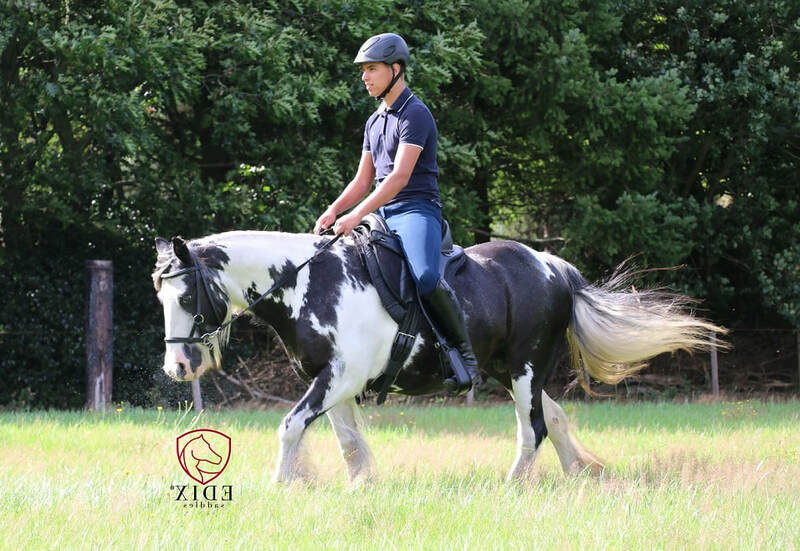 These deformations will dissolve in a short time, automatically, after a first period of using your saddle. 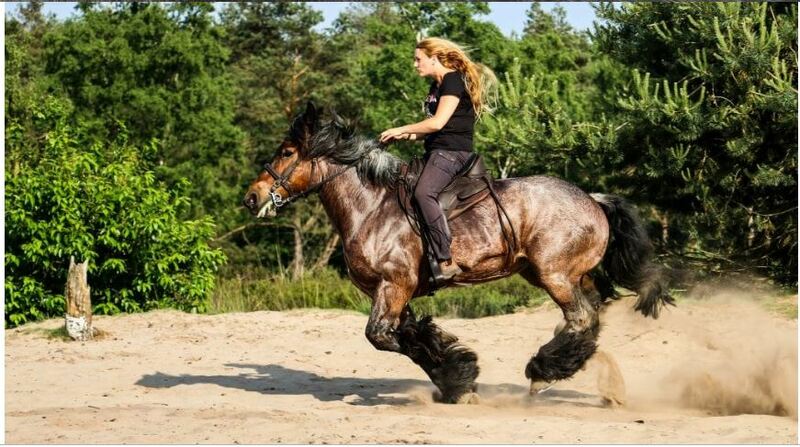 Please note that due the extend use of your saddle structural changes of the leather are inevitable. 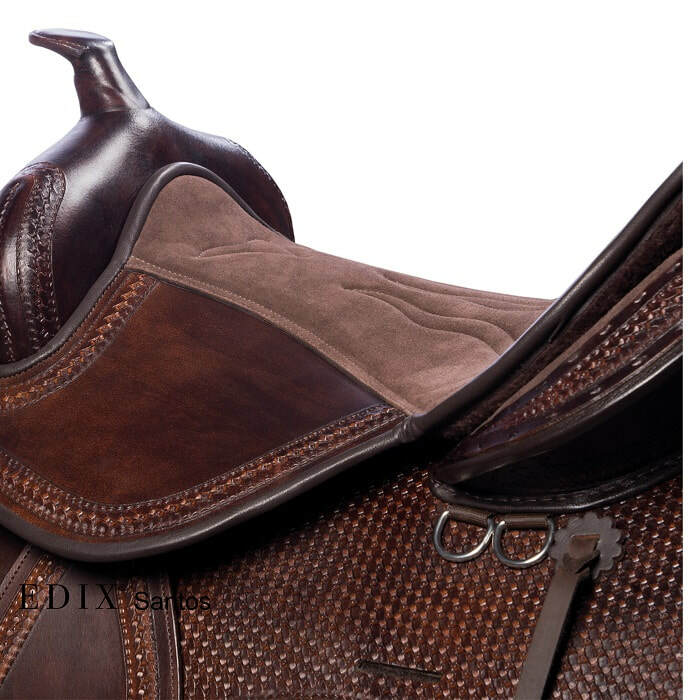 For example there where the Fenders or stirrup leathers glide along the saddle, it is on this spot, the leather will be smooth and in time also go back to its natural color. Of course, these traces of use do not change anything about the strength of the leather. Leather is a strong natural product. Aspects such as use, application of force, friction, dust, dirt, sweat, muck, sunlight and also an excess of water damages besides the surface also the underlying structure of the leather. Without the proper care of the leather, these threats quickly affect the quality and therefore the durability of the leather. These threats arise not only when the product is in use but also when the product is stored. Therefore the product needs maintenance regularly, otherwise these threats get a chance of permanently damage the leather. Leather as a natural product, even in the event of non-use, must be regularly cleaned and in particular fed to keep it in good condition and prevent premature extraordinary wear. It is important to use natural or synthetic leather care products of good quality. General household products such as sunflower oil and ordinary household cleaners attacks leather and are therefore definitely unsuitable! Leather care products have been developed to attract leather (in the skin), so beware of hypersensitivity of your own skin. Actually, after every use of a product, care would be appropriate! But at least a leather product requires intensive care during intensive use every week. You start by cleaning the product. In order to be able to get into all nooks and crannies, you first have to completely disassemble it. 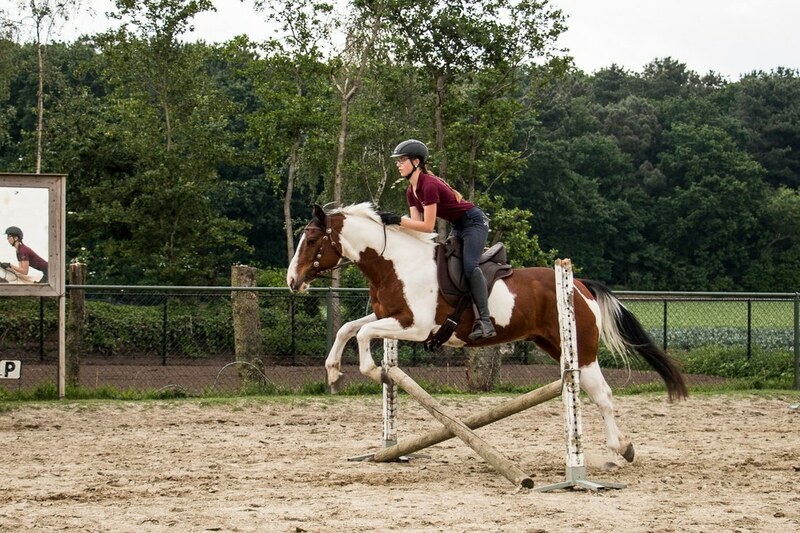 After finishing cleaning, use a damp cloth or sponge and leather cleaner, also called saddle soap in the saddle-shops. This soap removes dirt and grease and opens the pores of the leather again, afterwards you are able to feed the leather with a leather care product. Saddle soap should be used sparingly, after all, it is fat-extracting and too much of it will also remove the natural fats from the leather skin. There are several variants in saddle soap and leather cleaner. 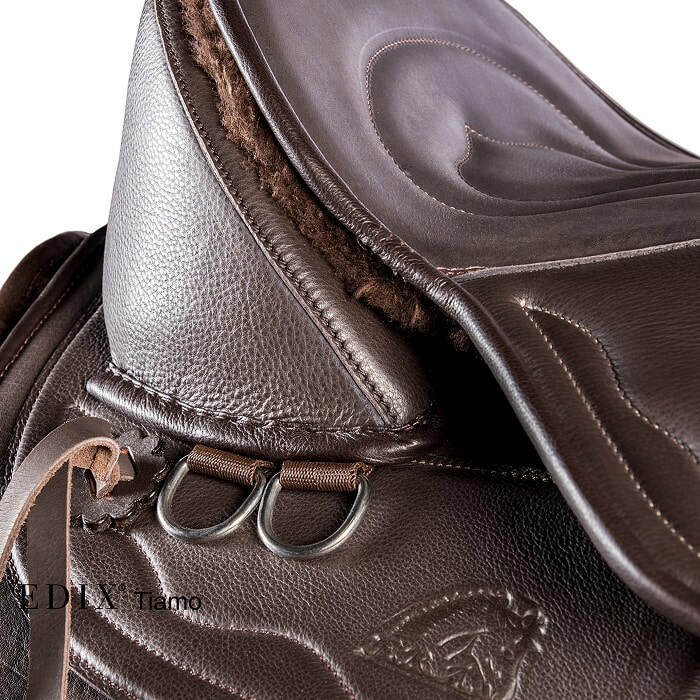 Always read the instructions for use of the purchased saddle soap or leather cleaner and follow it up. Because greases and oils attract good and easily in the leather directly after cleaning, it is preferable to handle in this order. Leather always needs a certain amount of leather care product depending on its suppleness. Which type of leather care product depends on the type of leather. A brushed leather, often called suede leather or a full cow leather have both their own type of recommended care products. Perfectly tailored to what that the individual type of leather, often with a cleaning product tailored to that type of leather and their own advised treatment methods. Depending on the leather type, leather grease or leather oil will quickly or less quickly retract. The underside of leather is generally less smooth or even unsecured and therefore more porous, here an oil or grease easily absorbs. If, after deferred maintenance or prolonged non-use, the leather has become hard and stiff due to dehydration, one or more treatments by means of oil will first have to make the leather supple again and after normal maintenance with fat. It goes without saying that a treatment with oil penetrates directly more deeply than a treatment with fat. Excessive nutrition will make the leather that forces it on very vulnerable to stretching. In addition, the excessive use will result in the withdrawal of any plastics (foam filling) and stitching and will therefore irreparably damage them. Where even un-usability of the leather product can occur. Through regular maintenance with the use of sparingly leather care product the product will always be sufficient maintained. There are several leather care brands with a variety of different types of products. Please read descriptions and instructions carefully and use a suitable care products to achieve an optimal result. It may be wise and certainly recommended to do a treatment in a less visible place first to test the impact on the leather. Finishing After cleaning you use a of supple, dry clean cloth to polish the leather. Afterwards, let the product dry in an open dry room, certainly not in the sun. The best place to store your leather product, after maintenance, is in a dry ventilated dark room and your leather product is ready for next use. 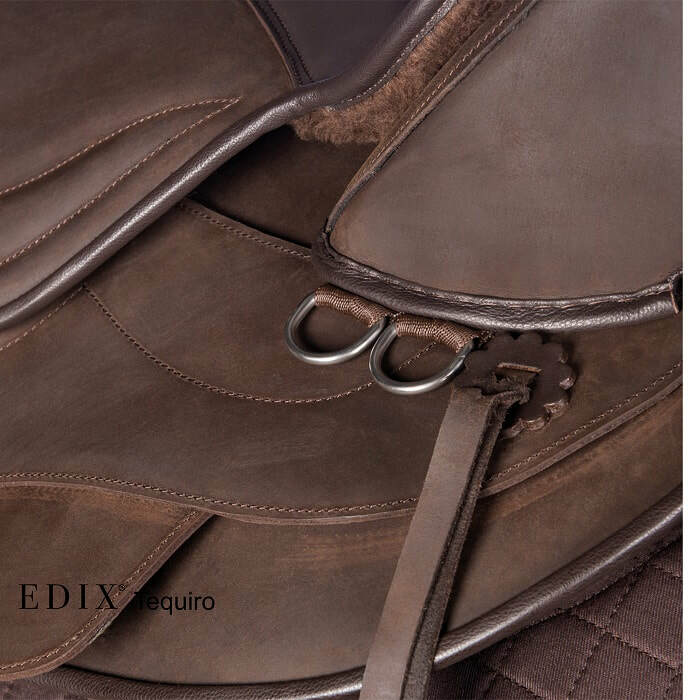 EDIX® Equine Articles wishes you joy of your leather product!